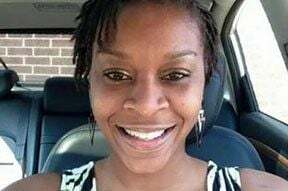 AUSTIN — Sandra Bland’s mother, Geneva Reed-Veal, has added 10 Waller County officials in a federal lawsuit over her daughter’s 2015 death in the Waller County Jail. Reed-Veal originally sued the Texas Department of Public Safety trooper who arrested Bland, his agency, Waller County and two of its jailers. A preliminary hearing in the case is set for Feb. 18 in a Houston federal court. DPS Trooper Brian Encinia stopped Bland near the Prairie View A&M University campus July 10 for failing to properly signal a lane change. After a heated argument, the trooper arrested Bland for assaulting a public servant. Bland was found hanged in her Waller County jail cell three days later. Her death has been ruled a suicide. Reed-Veal has said in court papers that Encinia denied Bland her constitutional rights during the arrest, falsified the assault allegation and lied about why he removed her from her vehicle. She also alleges two screening officers at the Waller County Jail — along with 10 other jail officials, including the sheriff — neglected Bland after her booking, failing to check on her or seek medical attention once she was found in her cell. Bland’s mother also said the county is responsible for placing her in a cell alone and where a “large garbage can, garbage bags, exposed beams, cords and other items” were available to her daughter after she had said she was once suicidal. In the upcoming hearing, U.S. District Judge David Hittner will hear arguments over the state’s request that the case be dismissed or put on hold while Encinia’s criminal case plays out. A Waller County grand jury indicted Encinia in January after concluding there was evidence he lied about the circumstances under which Bland exited her car. If convicted of the misdemeanor perjury charge, Encinia could face up to a year in jail and a $4,000 fine. His case will be heard in the 506th District Court in Waller County. Encinia has amassed a three-attorney defense team, including one lawyers who represented real-estate heir Robert Durst in his 2003 murder trial in Galveston. Houston attorneys Chip B. Lewis, who represented Durst, and his associate, Alicia O’Neill, joined Hempstead attorney Larkin Eakin Jr. about a month ago and ahead of Encinia’s March 22 arraignment in the perjury case.